The following four Presages have never been published in English before. 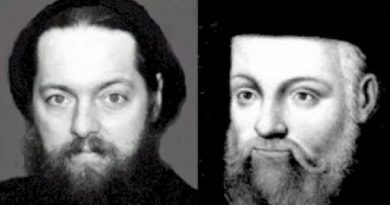 Check every Nostradamus Compendium written by the so-called Nostradamus Experts you see on television and you will find the following four Presages missing. Below, following those Presages, are Quatrains VI-21, VI-22, and VI-23. These are what I call a Triplicate Series. Readers should note the printing errors over the history of the published Centuries. Every Nostradamus Commentator over the last four-hundred years has missed the mistakes and perpetuated the glaring errors. 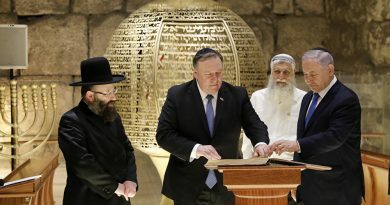 I suspect that these Quatrains indicate the rebuilding of the Great Temple in Jerusalem. Edgar Leoni set the standard for modern Nostradamus Commentary, and as far as I am concerned, every major English Nostradamus Commentator has mimicked Leoni’s work and research, because Leoni’s mistakes appear in their work. Counting the known Quatrains, Presages, and Sixains published in English to date comes to 1168 prophetic poems. 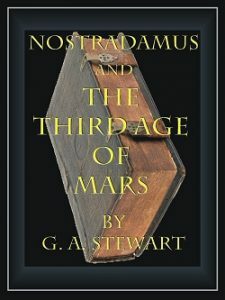 I discovered evidence that points to 1197 poems, with four of those unpublished poems appearing in Nostradamus and the Third Age of Mars, Volume I, making the new total of published poems 1172. The public has not read those four Presages in nearly five-hundred years, and so I throw down my gauntlet to other Nostradamus Commentators to top that fact. Three of these Presages are a very important Triplicate. Unfortunately, many Nostradamus Commentators do not even recognize Nostradamus as the author of The Sixains. I have provided enough evidence in my books to prove them wrong. …If you find the popular modern authors who publish a version of Nostradamus’ “Complete Works” that follows this same Presage structure with the same missing Presages, then they are most likely riffing from Edgar Leoni’s great book, Nostradamus and His Prophecies. Leoni used a 1630 Nostradamus Compendium that published The Centuries, most of The Presages, and The Sixains in one book. How the 1630 collection of The Presages was assembled from the thirteen Almanacs is not known, but I suspect that twenty-nine Presages have never made it into any compendium of Nostradamus’ work. From my research, it appears to have been a mistake that was generated in a collection of Presages that was first published in 1567, a year after Nostradamus’ death. I had my Nicholas Cage, National Treasure moment when I uncovered the original structure of Nostradamus’ Presages. There are twelve for each month of the year with an Introductory Presage. There are two Introductory Presages for 1555, the first year of their appearance, and that brings the estimated total to one-hundred and seventy Presages. You will only find one-hundred and forty-one Presages in every English version of Nostradamus’ “Complete Works”. Point n’ entrera, qui doutoit d’estre prins. 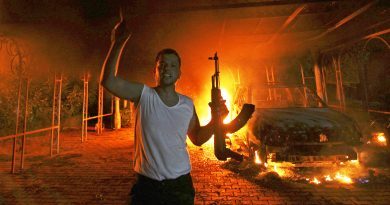 Point will enter, [he] who doubted being captured. 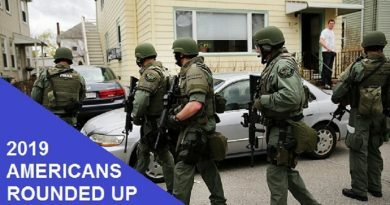 [At the] Point [of arms he] will enter, [he] who doubted being caught. L’embushe a siene, & aux Isles [e]stecades. The ambush is his and the Isles boom. The ambush is his [the Famous dead fugitive] and the Isles boom [from explosions]. Et non tenu tout ce qu’il’prometoit. And not everything held that was promised. Rodes, Bisance de sang barbare taincte. Rhodes (Greece), Byzantium (Istanbul, Turkey) stained with Barbarian blood. Quatrain VI-21 begins another important Triplicate Series, and there is a nest of them in the very important Century VI. 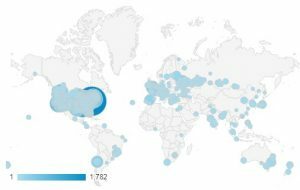 This is also where my research shines. Readers are seeing the correct Quatrain for the first time in publishing history. To test this theory, go to any published book on Nostradamus’ Centuries and look this Quatrain up. Quatrain VI-21 presents readers with another printing conundrum. The 1557 edition has “the great temple” in line three. Every edition after that has “the great tremble”, which other Nostradamus Commentators have taken as an allusion to war. The 1557 Edition was the first printing of this Quatrain and the following Quatrain VI-22 mentions “the great celestial or heavenly temple”. Since Nostradamus was still alive in 1557, I tend to go with “the great temple”. This is clearly a part of a Triplicate Series. There is a great deal of war-like imagery. “When those of the arctic pole [NATO] unite assembling”, and “Rhodes (Greece), Byzantium (Istanbul, Turkey) stained with Barbarian blood”. With Temple appearing in the next Quatrain, I am now completely going with the 1557 Edition. Readers should note that no other Nostradamus Commentator in history has discovered these mistakes. Rapis [Paris] was never in so severe an array. Here is another important Quatrain that suffered from a printing error. 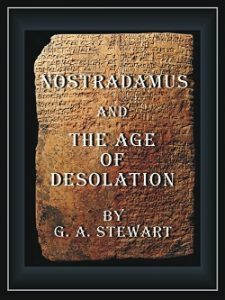 After nearly 500 years of Nostradamus Commentary, the mistake has been perpetuated and the interpretations have continued aimlessly. 1947 – Henry Roberts: Seek for the bones of the lovers and Psellus. 1961 – Edgar Leoni: Searching for the bones of the Demon of Psellus. 1973 – Erika Cheetham: Seek the bones of the demon of Psellus. 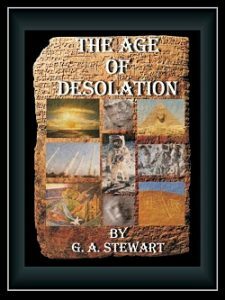 1999 – John Hogue: Seeking the bones of the Daemon of Psellus. April 19th is also the occult day of The Blood Sacrifice to the Beast. This begins the 13-day countdown to the second most sacred day for Satanists, The Beltaine Festival on May 1st, which requires a “fire sacrifice”. …In the 40 Quatrain edition is where we see “or” become “os”. Instead of Gold, commentators since have translated it as Bone. Note that “Pselyn”, “Pselin” is also printed as “Prelin”. 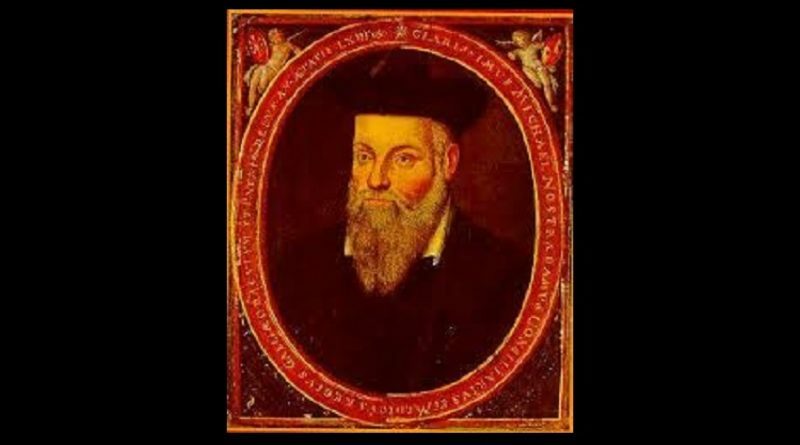 I would suggest that for the 1555 and the 1557 editions with 42 Quatrains in Century VII, that Nostradamus was present to correct any errors and give his approval to the printers. “Pselyn” versus “Pselin” and the “y” to “i” change is a common acceptable alternative. 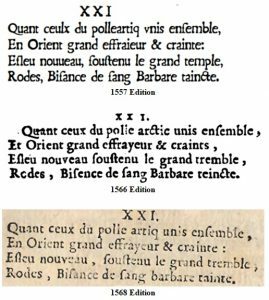 The six extra Century VII Quatrains known to date suggest that at one time there were one- hundred Quatrains. After the 1557 edition, the original word “or” was lost for nearly five centuries until my correction here. “Os” became an embedded mistake. All of these misprinted prophecies play a part in The End of Days. I would like to make this Website a repository of Nostradamus’ prophetic writings. 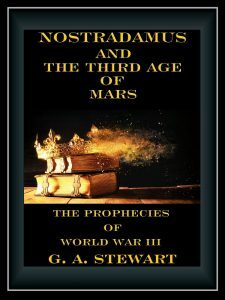 I am looking for the 60,000 readers of this Website to purchase my soon-to-be released book, Nostradamus and the Third Age of Mars, The Complete Prophecies of World War III. 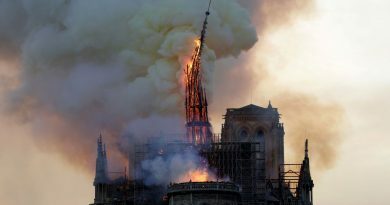 My goal is to raise enough money to explore some Paris Libraries looking for the oldest Nostradamus writings in print. You can help.